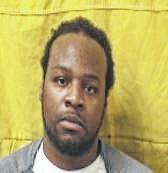 A Columbus man is appealing a trial jury’s decision to convict him of failure to comply with a Washington Court House police officer’s orders. A 12-person Fayette County jury convened earlier this month to deliberate over accusations that Justin Lee Hawkins, 32, attempted to flee twice from an officer who was attempting to make a traffic stop on a vehicle for having fictitious registration. The jury ultimately found Hawkins guilty July 13 of failure to comply, a third-degree felony, but not guilty of two counts of receiving stolen property in the same case. The state’s prosecutors argued there were stolen credit cards inside the vehicle at the time of the traffic stop but the jury did not convict Hawkins on those charges. Hawkins was sentenced following the trial to serve three years in prison. During trial the state’s sole witness was Washington C.H. Police Patrolman Jeffrey Heinz, who testified for more than two hours about the traffic stop he attempted to make on Hawkins. Heinz said he was just finishing up a traffic stop on another vehicle at approximately 3 a.m. May 20, 2016, when Hawkins drove past. Heinz said the patrol car’s on-board license plate reader beeped and when the license plate was ran, it revealed the plates were for a different colored vehicle. At this point in the trial, the video from the officer’s car and the audio from the officer’s body mic was played for the jurors. The video showed that Heinz caught up with Hawkins on US 35 near the Tanger Outlet Mall and he activated his overhead emergency lights, the vehicle stopped, and he spoke to Hawkins about the plates and registration discrepancy. Heinz said that Hawkins then gave a social security number belonging to someone else. Heinz said that initially he was going to write Hawkins a traffic warning. He walked back to Hawkins a second time to ask him about his social security number. As Heinz was walking back to his car with yet another social security number, Hawkins drove away. Heinz followed. Heinz, who had followed Hawkins from US 35 and was now nearing downtown Washington C.H., re-activated his overhead emergency lights again to initiate another traffic stop. “I pulled him over and told him there is a warrant for his arrest. He drove off rapidly accelerating. By the time I had gone back to my vehicle, approximately 10 to 15 feet, he was already making a turn,” said Heinz. The video from the patrol car showed the vehicle speed down West Market Street and attempt to turn left on Green Street, but nearly collided with a deputy sheriff who was on the road. Instead of hitting the Fayette County deputy sheriff’s car, Hawkins turned off the vehicle’s lights, drove through several front yards and hit a bush, disabling the vehicle. Hawkins refused to open the vehicle’s door and Heinz said he used his flashlight to break out the vehicle’s passenger side window. Hawkins then attempted to flee, according to Heinz, but was chased and arrested. However, Heinz explained, the VIN number of the vehicle matched the VIN number of the vehicle’s registration. Following the trial, the jurors—five women, seven men—deliberated briefly before coming to the agreement that Hawkins was guilty of failure to comply. Hawkins declined to stand trial on his own behalf and remained silent throughout the day’s proceedings except to talk with his defense attorney, Thomas Arrington. Court records show Hawkins filed an appeal on the conviction July 21. Arrington filed a motion to withdraw as Hawkins’ attorney in appeal. 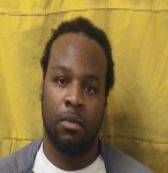 Hawkins currently remains incarcerated at Correction Reception Center in Orient, Ohio.